Mo./Ma. 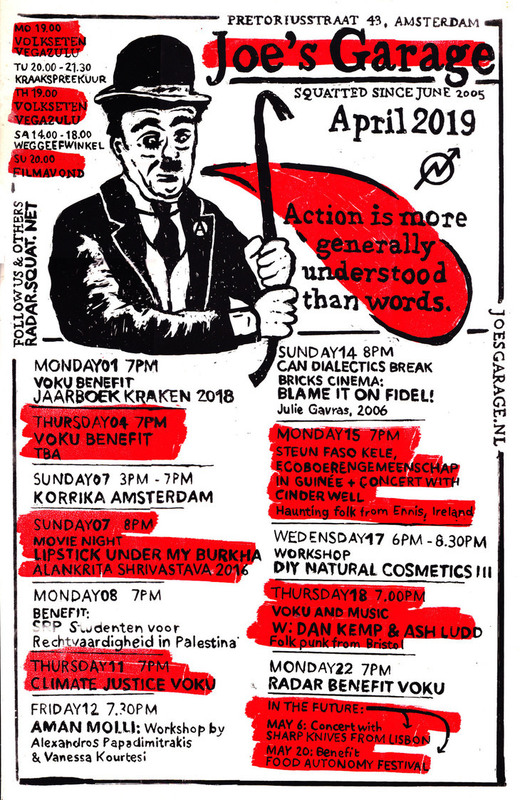 13 august 2012, 19:00, Benefit Roomtuintje Oostbos. “We are a group of concerned individuals who have decided to take matters into our own hands by finding a waste land and bringing new life to it. The site between Pieter Vlamingstraat, Pontanusstraat and Von Zessenstraat in the Dapperbuurt of Amsterdam Oost was originally social housing owned by housing corporation ‘De Key’. After removing the social renters most of the houses were demolished by 2009 in order to make way for 58 luxury apartments. Some 5 houses were left derelict and only one renter the ‘Coffeeshop Eastwood’ remained. De Key have not continued with the project which was due for completion in 2011. Now all that remains is an open space borded up by fences and the 5 or so buildings left standing. 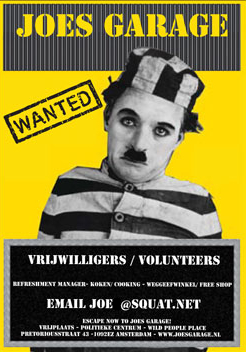 ‘Roomtuintje Oostbos’ was liberated from uselessness on July 15th 2012 when the clean up began and the first gardens were built. 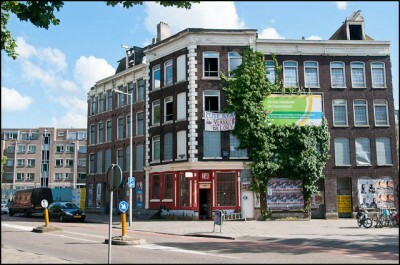 On the same day the appartments above the coffeeshop were opened and are now occupied by a group of young people. July 15th 2012 Video link: [Amsterdam – Tuin en huisbezet]. Doors were opened to curious neighbours and the public for the first time on 21st July for ‘open gardening day’. The aim is to give people the chance to make their own garden in an urban environment where the opportunity to garden is scarce.